It maybe clear in your mind what you want your logo to look like or you may just have the name of your company. With any business logo however for effective logo design you will want it to be clear and portray the right message of your brands identity. Your logo should be Simple in form as possible which is in keeping with the latest trends as well as being distinctive against other competitors within your industry. Even though many people are not artistic or designers, they will know a well designed logo when they see one. It will either attract or repel customers. When studied in a bit more detail it is amazing how much a simple logo can communicate trust, professionalism and quality of product or service. Flat design is very on trend when it comes to website design and a simple yet cleaver logo design works very well with this as it can be placed on all sorts of platforms which leads me on to my second factor. 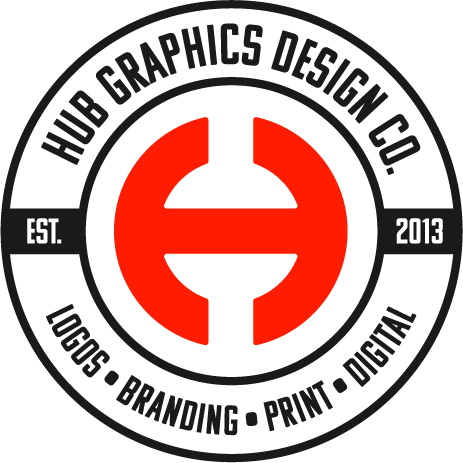 A logo’s simplicity is what will make it transferable across various platforms (print and web) and will effect how well it looks when reduced or enlarged in size. It should effectively work both ways. A designer will point this out to you and should provide you with the necessary files so you can enlarge or reduce its size accordingly. This is particularly important for signage graphics. This is something that a client or designer can do prior to designing a logo, it can inspire you, help you see where others are going wrong and how you can stand out from the crowd. Having some ideas is the perfect place to start with any design project. I have a whole post on colour theory, so make sure you check that out. In brief colour theory is highly important with logo design as different colours reflect different emotions and moods. Sounds geeky I know but don’t overlook this one. Once you have a colour palette to use with your logo you can then use this across all your marketing and branding material. This may sound vague I know but I having recently attended a branding seminar, they described a situation where a company designed a logo themselves, it ended up not achieving the results they needed to say the least. It wasn’t until the company got a designer in to look at their branding and redesigned their logo by simplifing and making it more memorable that then contributed to their sales and customer base growing. It seems like this company at first underestimated the importance of this aspect of their business. An easy mistake to make. With the clients that I work with the logo design sets the tone and design for their websites and other promotional material. As it clearly identifies who they are. If a companies logo is memorable they should want to display and make it seen to attract custom and gain trust. So to recap I have highlighted some key words throughout this article which contribute to effective logo design. They are, simplicity, transferability, researched, colour theory and making it memorable. 5 very important factors not to be overlooked with your logo design. So are you needing a redesign with your logo? Maybe your a sole trader or a startup? take the next step and find out more from us. Complete the contact form and we can go through the elements of effective logo design which can help you further.